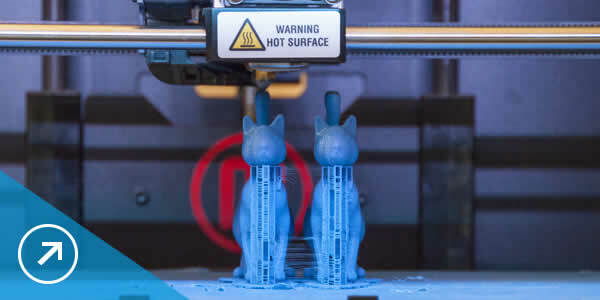 3D printing, also known as additive manufacturing, is a process by which physical objects are created by depositing materials in layers based on a digital model. All 3D printing processes require software, hardware, and materials to work together. 3D printing technology can be used to create everything from prototypes and simple parts to highly technical final products such as airplane parts (US Site), eco-friendly buildings, life-saving medical implants and even artificial organs using layers of human cells. Also known as fused deposition modeling (FDM). This method of 3D printing heats and extrudes plastic materials. It's common in both consumer and professional 3D printers. Example 3D printers include MakerBot Replicator and Ultimaker 2. This method of 3D printing uses UV light to cure or harden resins, layer by layer. 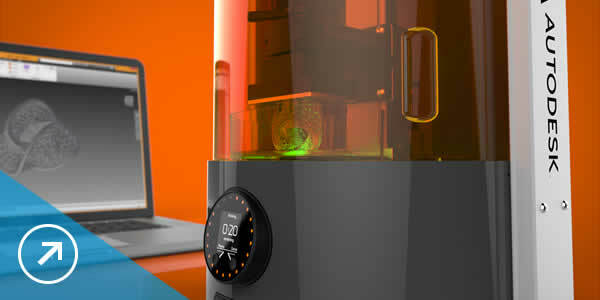 Example 3D printers include Autodesk Ember and Formlabs Form 1. Spark is an open platform of 3D printing technologies and services that connects hardware, software, and materials. Today, the 3D printing workflow from design to manufacturing is often fragmented. This can make 3D printing complicated and unreliable for many end users. With APIs, SDKs, sample applications, and services from Spark, we’re providing companies with tools to help bridge these gaps, so 3D printing can work better for everyone. Ember uses high resolution digital light processing SLA technology. As part of an open 3d printing platform, Ember can work with a variety of resins. Capitalize on improvements in additive manufacturing to create better products faster—and stay ahead of the competition. Join our open Spark platform to get access to 3D printing APIs, SDKs, and sample applications. Project Ignite brings design-based learning to classrooms through hands-on design and 3D printing projects. Connect your entire product development process in a single cloud-based platform. 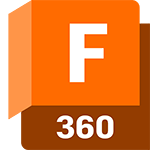 Send your designs directly from Fusion 360 to your 3D printer or a 3D printing service provider. Within generative design software solutions help engineers and orthopedic implant specialists produce lightweight, latticed designs for additive manufacturing. 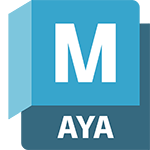 Create 3D animations for video games, films, and television. Print 3D models for stop motion animation, or print props and parts for scenes that combine live action and CGI elements. 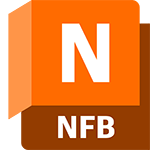 Netfabb enables a complete industrial additive manufacturing workflow, from content to machine, making it quick and easy to prepare your models for 3D printing. 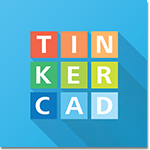 Tinkercad is a free web-based 3D design tool for hobbyists, teachers, and students of all ages. Make home decor, jewelry, toys, Minecraft models, and more. A group of imaginative engineers design their vision for the future of air travel with advanced technologies like generative design (US Site) and 3D printing. 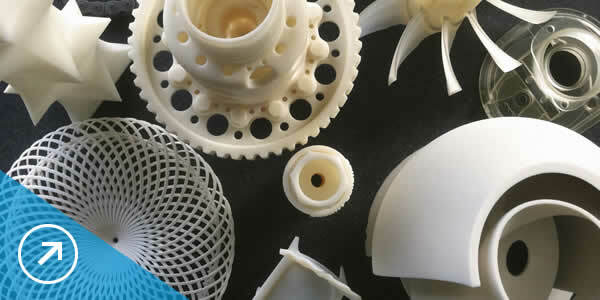 Learn about the four main 3D printing technologies: fused deposition modeling, stereolithography, direct light processing, and selective laser sintering. A pioneer of the first in-ear monitors for professional musicians, Asius Technologies used 3D printing to create an earbud that acts more like the human eardrum. Make your own toys from start to finish with Mattel's ThingMaker 3D printing ecosystem. Why Hollywood loves 3D printing. See how a pendant went from a CAD model to a beautiful piece, cast in sterling silver. Student researchers at the University of California, Berkeley, search for safer, eco-friendly 3D printing resins. Did you know NASA took the first zero-gravity 3D printer into space? Learn more about 3D printing on Redshift.